Hunting with crossbows can be a lot of fun unless you are stuck on the same skill level for a reason you cannot explain. When this happens, you are usually making a mistake you are unaware of; which might make you pretty frustrated with your crossbow. But with such issues out of the way, using a crossbow can be extremely fun for you. 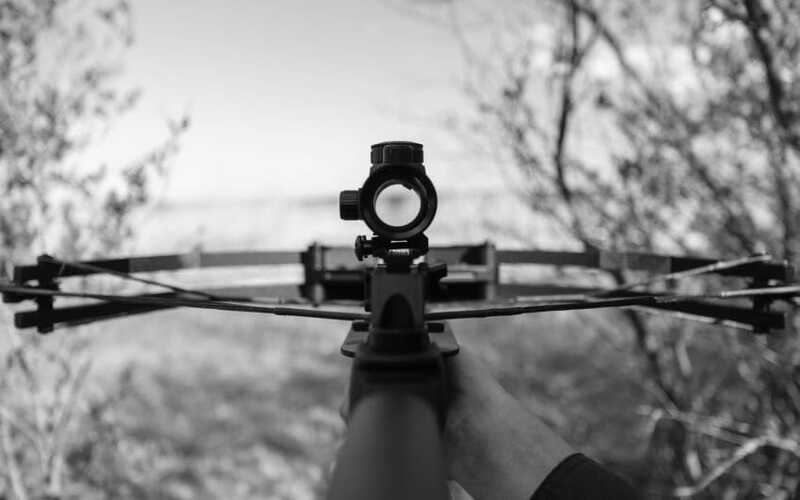 Here is a look at some mistakes you should avoid when hunting with a crossbow. Even if you were really good with a crossbow in the past, going for long periods of time without practice can make you lose your edge as a crossbow hunter. While at it, make sure you get the right kind of practice, preferably from someone who is really good with a crossbow. When you are hesitant, you are unsure of when to let go of the bowstring. Shooting too soon often means making a mistake and not hitting your target. Additionally, the target might still not have gotten to its ideal position for a perfect shot. Similarly, when you hesitate and wait too long, the chance might have already gone, or the animal might have already noticed you and gotten away. Some hunters make their kills within the first few hours of their expedition, while others end up spending the entire day without any animal coming within their sights. The difference is in location choices. While it makes sense to avoid crowded areas, despite being labeled hunting hotspots, you should also not visit barren hunting grounds. An arrow has a certain size and weight, and there is a perfect crossbow for it. So, when you don’t get the right combination of bow and arrow, your shooting results might be dismal. This mistake is actually quite common. Not even the best crossbows will give you good results when combined with the wrong arrows. To meet with more success when hunting with a crossbow, you should arrive early if that is what it takes to improve your chances of success. Similarly, if you are more likely to meet with success if you stay until late, then do so. Otherwise, your hunting efforts might be a little fruitless in the long run. You should not go around making unnecessary noises as you hunt, that will scare off your targets and put them on guard. You can make a hunting trip fruitless for everyone when you go snapping twigs and stepping on noisy dry leaves. Be stealthy. In many cases, you let go of the arrow with the belief that it has enough power to reach a certain point. However, the arrow can end up exceeding the distance or not attaining it in the first place. The most effective way to deal with this issue is to do enough practice so that you understand how much strength you need to make the arrow get where you need it. Some people consider hunting their battle against nature, and once their skills are pretty good, they feel invincible. They end up forgetting that practice is still important and that they can still learn something and become better hunters. So, never overestimate your crossbow hunting skills. You should hit the animal you are targeting at the right spot to take it down. For instance, you should target a hog close to the heart and a deer around four inches above the first joint on the shoulder. For long range shots or even more powerful shots for that matter, you might be tempted to draw the bow too far. But that puts you and other people at risk. So, don’t let your ego get in the way, focus on making accurate and effective shots. Hunting with a crossbow is a lot more fun when you can avoid the above mistakes and make more effective shots. Generally, make sure you have the right equipment and that you get enough crossbow and hunting skills.